Taking the family out to eat is always a good time, but with appetizers, drinks, and entrees, the bill can add up fast! (And if you have toddlers who have two bites and say they’re full, you may be hesitant to even try a special night out.) 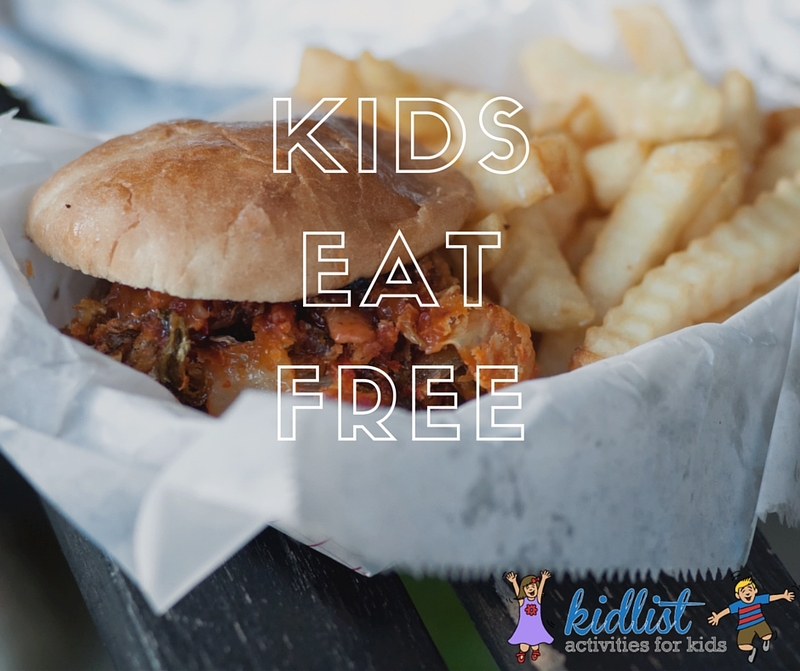 Check out our list of restaurants in the area that offer a kids eat free option! Gather around the table to make some great memories… without worrying about your pocketbook. One free kids entree with an adult entree of $9.99 or more from 4:00 – 11:00 pm. Offered Mondays and Thursdays. For every adult entree purchased, receive one kids meal free, 4:00 – 7:00 pm. This deal is good every weekday. One adult entree to one child entree. Buy one get one free kids meals from select menu with a paid adult entree from 11:00 am to 3:00 pm. Second child must be present. Dine in only. No additional discounts or coupons accepted. One free kids entree with the purchase of one adult entree. 15630 S. La Grange Rd. One free kids meal with the purchase of one regularly adult priced entree, ages 12 & under. Kids eat free every Tuesday. Kids eat free from 4:00 pm – 10:00 pm. Kids eat free all day with the purchase of an adult entree (Excluding the “2 for $20” deal). One free kids plate for every $9 dollars spent. Dine-in only, ages 12 and under, on Saturdays and Sundays. One kids meal per adult order. One children’s entree per adult entree purchased, ages 12 & under. Kids eat free from 4:00 – 9:00 pm. We’ve got the low-down on where kids eat free in the western suburbs, too! And you know you’ll always be able to find local tips for fun with kids right here on Kidlist. Be the first to comment on "Kids Eat Free? Yes, Please! Find Out Where in the Southwest Suburbs"